New York: E.P. Dutton & Company, Inc, 1978. First edition of the author’s Newbery Award winning novel. Octavo, original cloth. 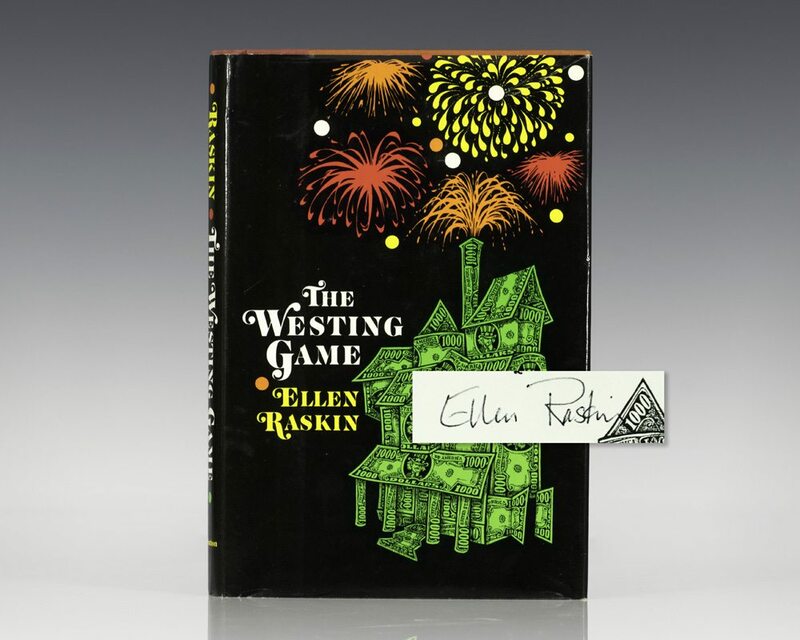 Boldly signed by Ellen Raskin on the title page. Fine in a near fine dust jacket with light rubbing and without the Newbery-Award winning sticker to the front panel. Rare signed. The Westing Game features the adventures of Sam Westing's sixteen heirs after they receive his challenge to figure out the secret of his death. It went on to win the Newbery Medal, the Boston Globe/Horn Book Award and was an ALA Notable Book. It was ranked number nine among all-time children's novels in a survey published by School Library Journal in 2012. It has been adapted as the 1997 feature film Get a Clue. New York : E.P. Dutton & Company, Inc, 1974. First edition. Octavo, original cloth. Warmly inscribed by the author on the front free endpaper, “For Ethel & Paul many, many thanks for all your kind words Ellen Raskin.” Fine in a near fine dust jacket.